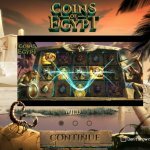 NetentCasinos.com is not related in any way to NetEnt AB (www.netent.com) and can only be seen as an independent website that holds information about NetEnt games and the casinos that offer these games. A list of the different reliable NetEnt casinos with a full review of each one. View our Top 5 best NetEnt casinos. 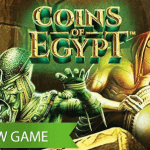 While playing this five reels and 20 bet lines counting video slot, you’ll be drawn into the history of the Egyptians many hundreds years ago. Over the years we have acquired so much knowledge about this time and it’s no wonder Net Entertainment has been inspired by the subject resulting in two perfectly designed video slots. Just as Egyptian Heroes, also Secret of Horus has been inspired by the ancient Egypt. Also known as the Egyptian Empire, the ancient Egypt was a society that began about 3500 before Christ. This society lasted until 20 before Christ as it was invaded by the Roman Empire, another rich history which can be found back in the Victorious video slot. Even though there are no traces of the Nile River in Secrets of Horus, this river was definitely playing a big role in this history. This old society is very famous for its creative way of writing using hieroglyphs, building huge temples and tombs while their religion had many gods, and its priests were powerful and rich. Their rulers, very well- known as Pharaohs were thought to be close to the gods. 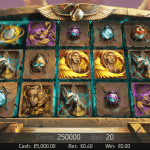 Horus, the main character the Secrets of Horus video slot is based on, was the Egyptian god of the Sky, son of Isis and Osiris. After fighting his uncle Seth, Horus became the king of Egypt, but his success had a down side as well since Horus lost his eye during the fight. Although the Eye of Horus became one of the most important symbols in ancient Egypt. Knowing more about this impressive history, you won’t be surprised about the symbols as they are all based on Horus’s story, just as it’s no surprise the video slot takes place in one of these famous tombs built by the Egyptians including stone effect pillars placed behind the line markers while hieroglyphics filling the top section behind. The symbols, obviously inspired by the Egyptian history, have been placed on papyrus parchments, a very nice touch coming from the Netent designers. The symbols found on the five papyrus reels include scarab beetles, The Falcon, Canopic jars, the Ibis Bird, Eye of Rah, and The Fetish of Osiris, while the music seems to be coming from the same period as Horus himself. 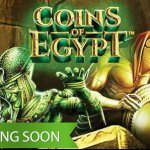 Just as all video slots offered by the Netent Casinos, also Secrets of Horus is offering you many betting possibilities. This time there are twenty bet lines, four levels and five different coin values involved. These three betting options can be mixed endlessly resulting in many different betting possibilities suitable for many different type of players although a maximum bet 40.00, available in many different currencies depending on the Netent Casino of your choice, isn’t as high as the average modern video slot designed by Net Entertainment. Even though Secrets of Horus is based on the Ancient Egypt’s history, the extra features added to the game can’t be called ancient at all. First of all there is the Wild, and although not the newest feature, it does have dual responsibilities in Secrets of Horus. Initially it can substitute for all other symbols except Scatters, while any wins created by the Wild are multiplied by x2. Secondly when five Wild symbols appears on an active bet line a 10,000 coin jackpot is being paid. The Scarab Beetle is acting as the very well-known Scatter symbol, responsible for Scatter wins and Free Spins. Three plus Scatters awards 15 Free Spins including a x3 Multiplier which simply means all wins made during Free Spins will be multiplied by three. Scatter wins will be responsible for many extra winnings as two Scatters already doubles your total bet, but this Multiplier can go up to 500 when five Scatters appear on an active bet line. 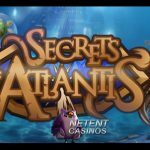 The design and extra features will be in line with other Netent video slots such as Voodoo Vibes, Relic Raiders and the jackpot video slot Arabian Nights. None of these video slots have been packed with extra features, but the main reason these video slots are rather popular is because of the dual function of the Wild and the Scatter resulting a great gameplay. Choose your favorite casino category and start playing all of Netent's casino games for free. Inform yourself about the different casino jurisdictions and their licenses! A wide variety of bonuses, each with it's own properties, but all very lucrative! Find a casino with your preferred currency with no currency exchanges. Choose from one of these safe, fast and secure deposit options to start playing right now. Appealing jackpots and casino games go hand in hand. That's where Netent comes in. Netentcasinos.com is an independent website and is in no way related to the official Netent Games Software Company, www.netent.com. All NetEnt characters used on this site are the intellectual property of NetEnt AB and are used under license.